Now that I’ve taken you around the block with my story I’ll tell you that I completely enjoyed working on this quilt! I had a couple of frustrating moments but I learned from them. 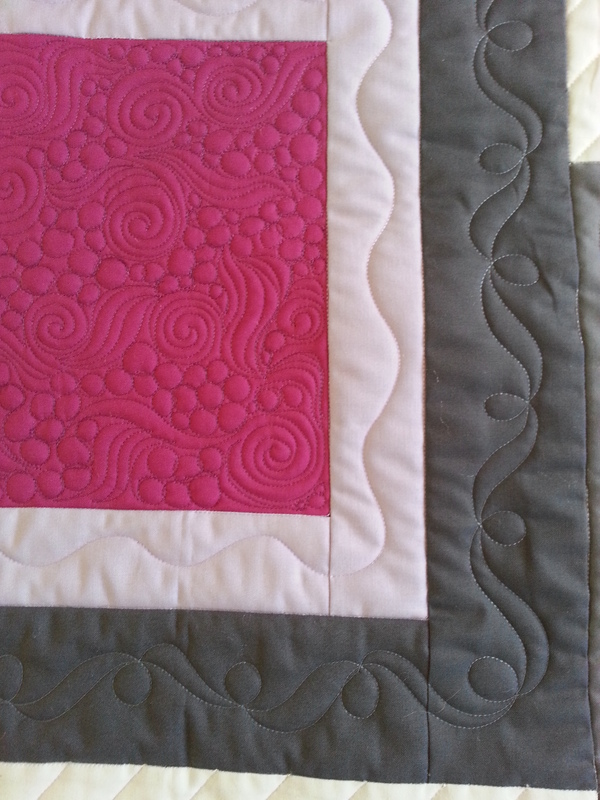 I cannot show you the whole quilt yet, but it is beautiful! I love the colors she used too! 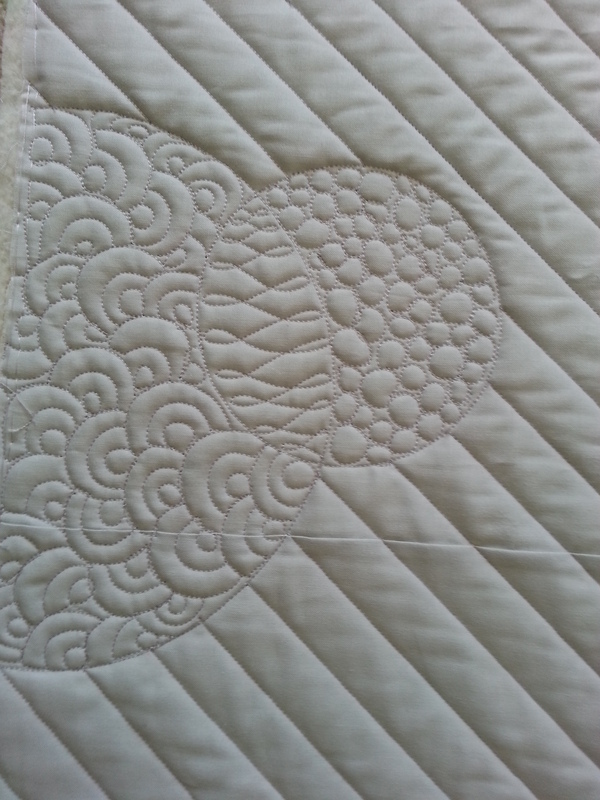 As promised, here are a couple of pictures of the quilt. This will be in the Winter 2014 issue of American Quilter.